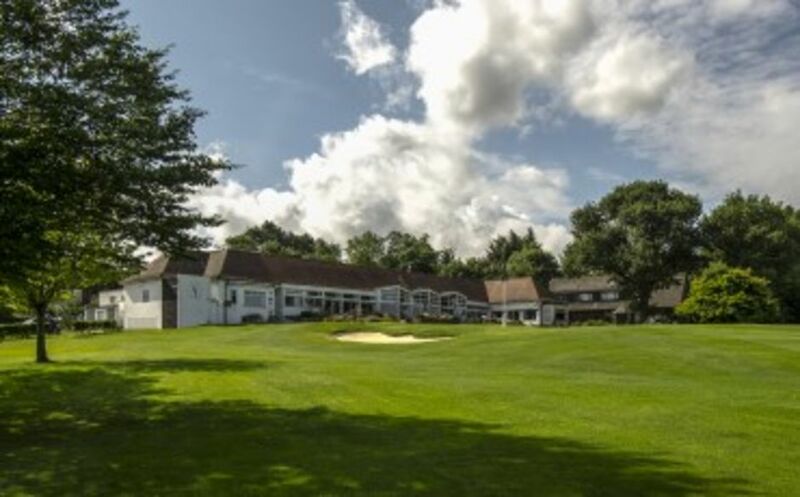 South Herts Golf Club was founded by the Committee and members of Muswell Hill Golf Club, who in 1899 received notice to quit part of the Club's grounds, and faced the prospect of being expelled from the remaining grounds and clubhouse. A Special General Meeting was held to ‘consider the tenure of the present links and the steps to be taken towards acquiring new grounds’. The meeting decided to set up a ‘New Course Loan’ fund and charged the Committee to investigate what land might be available. Apart from the threat of losing their course, it seems another motivation to form a new club was to allow play on Sundays, which was not allowed at Muswell Hill as part of the grounds there belonged to the Church. Various parcels of farmland were identified at Totteridge, and while negotiations to acquire these were taking place a meeting of about 50 subscribers to the ‘New Course Loan’ was held at The Midland Grand Hotel on 21st November 1899. At this meeting it was resolved ‘that the Club be called the South Herts Golf Club’, as at that time the new ground lay just within the southern boundary of the County of Hertfordshire, although as a result of later boundary changes it now lies within Greater London. The Captain of Muswell Hill in 1898/9, Mr Walter G Greenwood, chaired the meeting, and became the first Captain of South Herts Golf Club. Leasehold contracts for a total of 112 acres of land were signed on 21st December 1899 at a cost of £1,242, plus an annual rental of £331. 10s. 0d. Unexpectedly, Muswell Hill Golf Club survived the threat to its existence and happily continues its activities today. Willie Park Junior, winner of the Open Championship in 1887 and 1889, was contracted to design the course. Park was a pioneer of parkland courses at a time when golf courses were traditionally built along the coast, and during his lifetime he designed approximately 170 courses across Europe and North America, including Sunningdale and The Berkshire. The course informally opened for play on 1st October 1900. The formal opening was delayed to coincide with the opening of the first Clubhouse in March 1901.